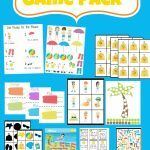 Today I want to share with you a fun number recognition game brought to you from Education.com. It looks like such a great way to teach your kindergartner or advanced preschooler to recognize all the different forms of numbers. 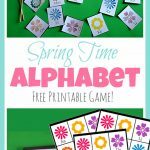 I know I can’t wait to try out this fun and simple game with my Kindergartner. I hope you enjoy playing it with your kids too! How many ways can you write the number 1? In kindergarten and beyond, kids focus on learning numbers in all their forms, from the number 1 and the word “one,” to a simple picture like a single cat. Help your child see numbers in three ways, and how to use numbers as adjectives, with this simple grab-and-go game, great for quick practice in the car. Spread out the newspaper to create your painting area. Make sure your child is wearing an old t-shirt or smock because this activity has the potential to get a little messy. Set out the blank index cards. White index cards are best; colored cards can be distracting. Make number cards: ask your child to take 10 index cards and, with the cards positioned vertically, help him write one number per card using the numbers from 1–10. You can use different colored markers, crayons, or colored pencils. Then make number word cards: Ask your child to take another 10 blank, index cards and help him write out the number words (“one,” “two,” “three,” and so on), one per card from 1–10. Help your child to match the color of the number words with their respective number card from the first stack of index cards (i.e. “one” and “1” are both written in red). 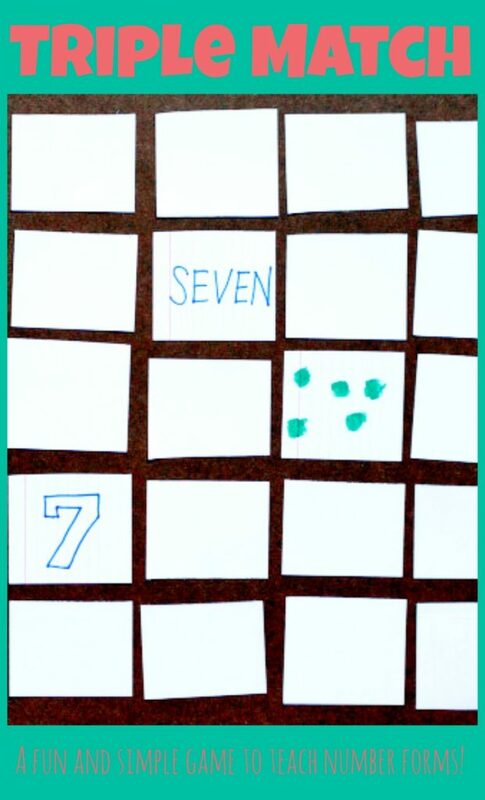 Now it’s time to make counting cards: have your child take the last 10 index cards, dip a thumb or finger into the paint, and make the correct number of dots on the card to match each number from 1-10. Again make sure to match the colors on these cards with the colors from previous stacks. Let these dry overnight. Lay all the cards face down and try to find matches three ways: “one,” “1,” and one painted dot, for instance. 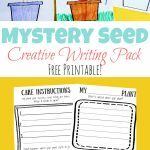 Let more kids in on the fun by turning this matching game into Concentration. The more the merrier! What a great idea to teach your kid how to count. S/he before you know it at the tender age of 3 or 4 s/he’ll be counting soon.